Kill bed bugs and their eggs on contact without chemicals. 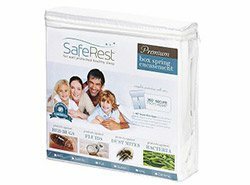 We've selected to offer the MR-100 Primo against bed bugs because of several factors, which we will discuss further in the following product review. These factors include its ETL certification, ceme solenoid, pressure adjustment knob, dry vapor engineering, ability to be used for 60 minutes at a time and its high tip temperature needed to kill bed bugs and eggs on contact. The MR-100 Primo is a dry vapor steamer in that it delivers less water than an ordinary wet steamer reducing the likelihood of mold or mildew developing. The Vapamore uses an Italian made "Ceme Solenoid," which electronically delivers steam from the boiler to the steam hose greatly reducing the water normally built up between steaming. The "Ceme Solenoid" is normally found in steamers above $599 making the Vapamore Primo a great value at $299. Delivered steam is only 5% water by volume allowing treated areas to dry much faster than those treated with a wet steamer. The MR-100 Primo also enables the user to treat for up to sixty minutes without needing to refill the stainless steel tank, which can be helpful when treating several rooms. One of the most important facts to mention is that the Primo's end tip temperature exceeds 210 degrees Fahrenheit (well above the 170 degrees needed to kill bed bugs and their eggs on contact). The end of the steamer attachment should be held in close proximity (within 1-2 inches) of the object being treated to ensure high temperature steam is applied. We recommend using the included wide angle attachment with the toweling applied for broad surfaces as it offers better control and direct contact with the surface being treated. Its important to read and follow the instruction found in the owners manual carefully to prevent burns that can occur with hot steam if not used properly. Another great feature the Vapamore MR-100 Primo offers is an adjustable pressure control enabling the user to lower or raise the pressure coming out of the tip. This helps apply heat evenly without blowing bed bugs and their eggs around (where many other steamers in the market come up short). If the pressure is ever too high, simply turn the pressure knob on the unit to a lower setting and you'll have far better control especially when using different attachments. 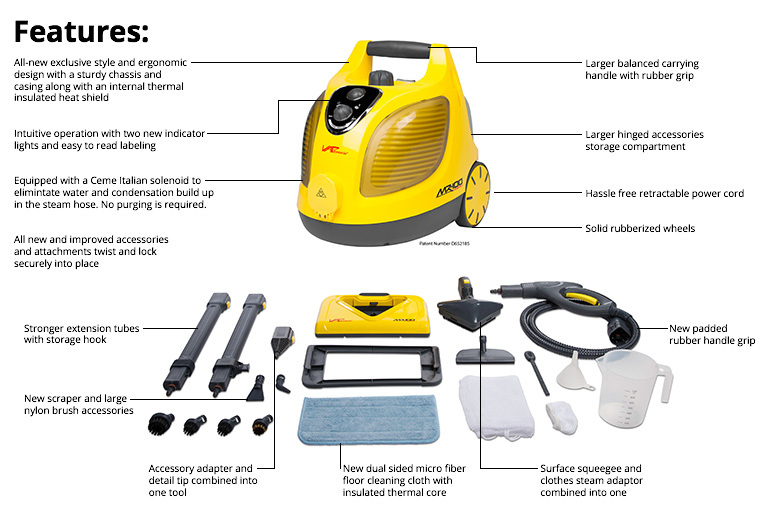 The MR-100 Primo includes 17 attachments allowing the user to apply the dry vapor steamer on different surfaces including baseboards, mattresses and box springs, carpeting, countertops, tile and wood floors. 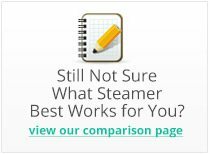 Our other entry level steamer found on the site does a great job for small surface application, but can only operate for 10-15 minutes before needing to be refilled making the MR-100 Primo a better choice for treating several rooms. Bed bugs are highly susceptible to heat, which is why a dry vapor steam treatment can be used effectively to kill bed bugs. Some bed bugs are resistant to chemicals, but none can withstand 200+ degree heat killing both bed bugs and their eggs. The Vapamore MR-100 Primo is a high quality ETL certified residential dry vapor steamer that zaps bed bugs and their eggs dead on contact. 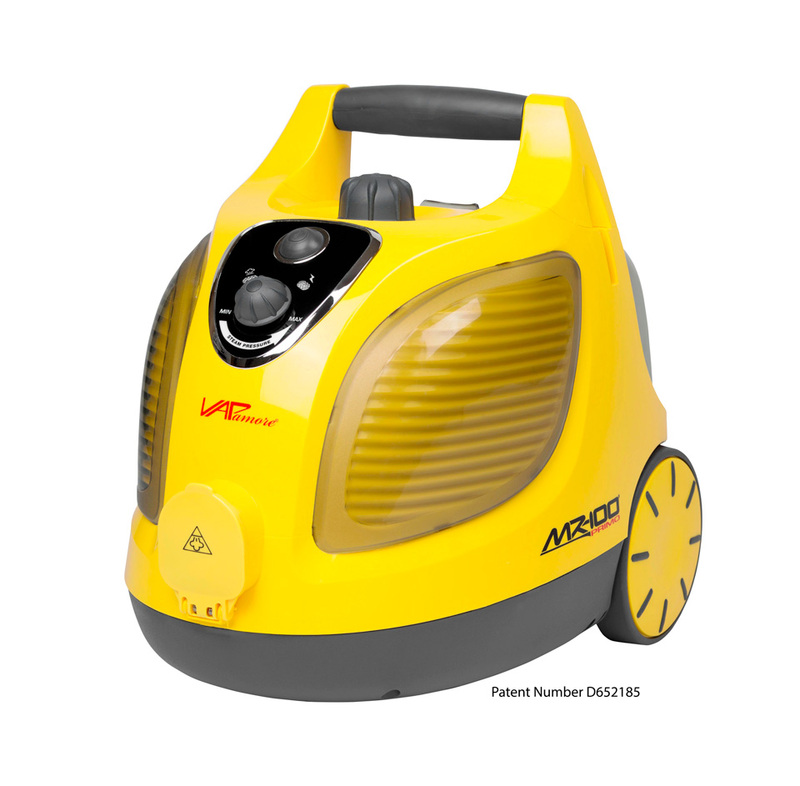 The MR-100 Primo is unique in that it can be used in conjunction with several other of our products as a completely non-chemical bed bug treatment. Another great feature is the limited lifetime warranty, which offers peace of mind for years of steaming operation (please see the warranty registration form and warranty details below). Please keep in mind that all steamers use water and the "Dry Vapor" classification simply means that it's dryer and has a higher tip temperature than a normal steamers. This is realized through a steam control knob allowing the user to adjust steam outflow along with a sealed tank under higher pressure. The Vapamore Primo is a multipurpose unit and can also be used to deep clean, remove dirt, stains and kill bacteria nnd spores without using detergents or chemicals. The Primo works with ordinary tap water and is the perfect non-toxic, eco-friendly green cleaning solution. Steamers are a great chemical free and very effective way to treat for pests such as bedbugs and dust mites. The pests and their eggs are killed instantly when subjected to the high heat produced by the steamer. When treating for bedbugs or dust mites on furniture such as sofas, chairs, and beds there are a few simple steps to follow to help be successful in eradicating the pests. Before you start always make sure to follow these few rules. Never steam into electrical outlets or connections and when steaming along base boards, wood furniture and trim always follow with a dry towel to remove the condensation or water build up. 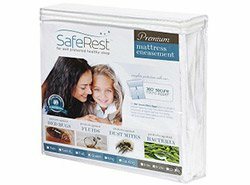 When steaming a mattresses or bedding make sure to allow the mattress or bedding to completely air dry prior to installing any plastic covers or plastic encasements commonly used for bedbug prevention. Attachments: Using the clothes steamer attachment with the small cotton cover is great for beds, pillows, sofas, chairs etc. Pass over the area slowly with light contact in order to heat the area being treated and killing the pest and their eggs. The jet tip is great for getting into corners of bed frames, moldings, trim, furniture or any details areas that may be infected. Q: can I clean small area rugs? As long as the material the rug is made of is water-safe, then it should be safe to steam clean it. However, this steamer does not have a vacuum or suction feature to collect moisture from the fabric, so you'll want to use a cloth or wet vacuum after you steam the rug. Q: how long is the electrical supply cord? The power cord is 18 feet long, and is retractable for easy use and storage. Q: March 15, 2014 - How do I know when to refill the Vapamore MR-100 Primo Dry Vapor Steamer with distilled water? I am not sure when all the water has depleted. Thank you! The MR-100 Primo has a large enough tank to steam for up to an hour before needing a refill. When the steam nozzle begins to sputter and squirt, like it's struggling to find water, then you know it's time for a refill. Q: 1) does it use regular tap water. 2) does it vacuum while steaming or is pad attached to bottom of wand to take up dirt/grime? Yes, the Primo can use regular tap water. However, it does not have any vacuum feature. The pad included is to break up excess moisture when applying steam to a wide flat surface. All steam has some amount of moisture to it (it is water vapor, after all), but the MR-100's high pressure rating makes its vapor much dryer than most residential steamers. That's why it's considered a dry vapor steamer. The boiler temperature is up to 250° F and the tip temperature is up to 220° F.
If the hardwood is not sealed for protection against heat and moisture, it is not recommended to use a steamer on it. Steaming unprotected wood can cause long-term damage. Q: Can this also be used in conjunction with cleaning the carpet and office? 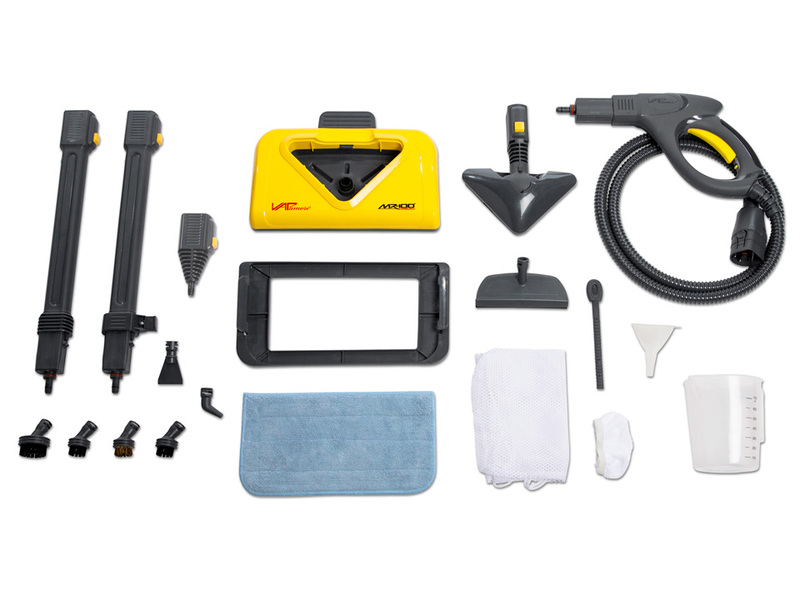 Yes, the Primo is a superb cleaning tool for the home, office, or industrial areas. Q: Can it be used to steam wall-to-wall carpets? Q: how can I check the Temperature; what kind of thermometer do I use? We were looking for an all purpose steamer to replace our cleaners. 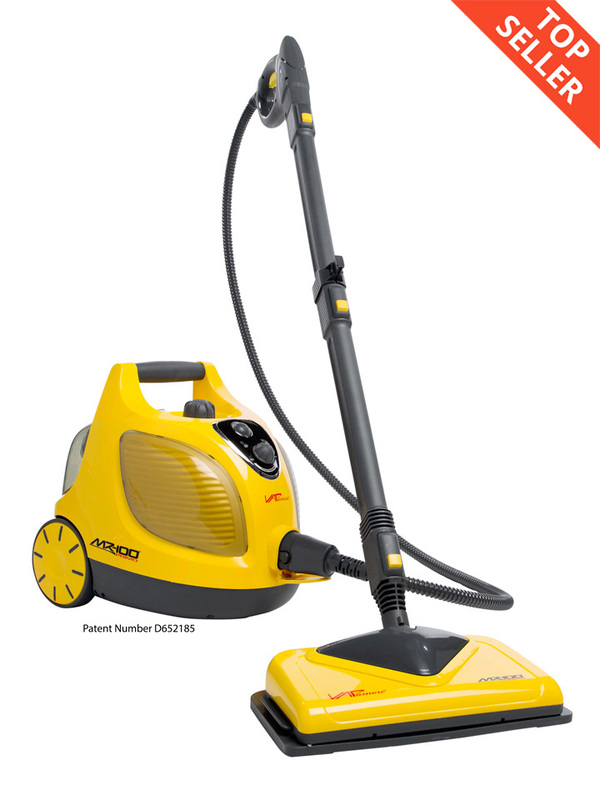 Its got a lot of power and did the trick especially cleaning the floors and bathrooms. 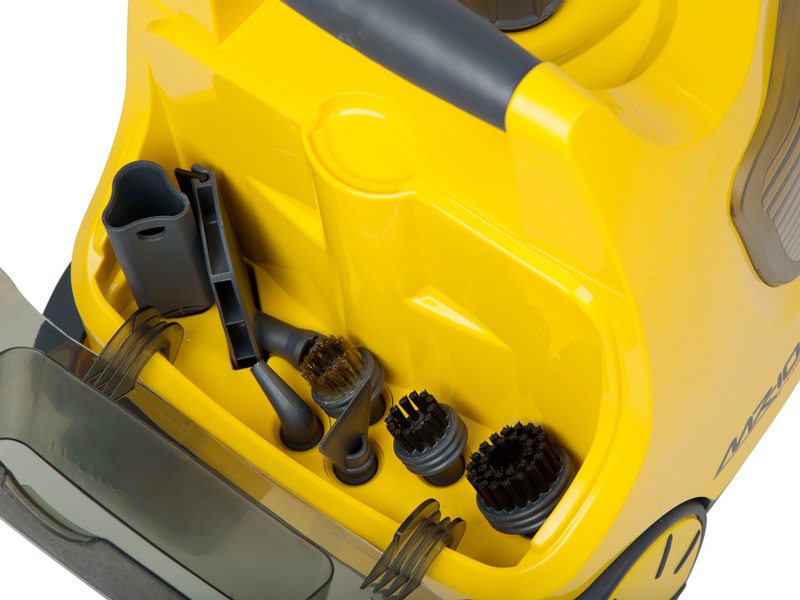 The parts are easy to use and go conveniently in the rear of the machine. It's high quality and the price is right. I'm going to get one for my children for the holidays. 5 stars! Happy cleaning. Reviewed by: Lawanna Murphy from Boston. This machine far exceeded our expectations and Bed Bug Supply did a great job explaining how to use the product and how to get rid of bed bugs. It's nice to actually get great customer service! The Primo has plenty of power and we steamed those pesky bed bugs with ease. The steam knob was helpful as well as the many attachments. Thank! Reviewed by: Jack Houser from Houston, TX. Everyone should have a good steamer whether you have bed bugs or not. 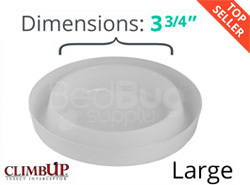 We purchased the Vapamore for bed bugs, but quickly realized how many other uses the unit has. We have done a deep cleaning on our entire house especially the bathrooms. It's cleaned some parts of the house I though we'd never get clean again including the bottom edges of the shower. I bought one for my daughter and am planning on getting one for my parents. Reviewed by: Jack from California. Reviewed by: Joyce from New York, NY. I can't speak to the longevity of the product since I've only had it for about a month, but at this point I'm extremely satisfied. The product seems well put together, convenient, and easy to use. I've never used a steamer before and was absolutely amazed. Those hard or virtually impossible to reach cracks and crevices are easy to clean with the high pressure/high temperature steam. The dirt and grime is literally blasted away. My sister actually asked me if had gotten new sink faucets because they were so clean after using the steamer. When using the steamer, it is still necessary to wipe down the area but the steamer makes the cleaning so much easier. Baseboards can be cleaned quickly and easily. Doors, walls, floors, windows, the stove, the refrigerator. Honestly the cleaning possibilities are endless. I know I've rambled a little but in summary I think the machine is convenient and very effective. With this combination of price and effectiveness I think you would be very happy with your purchase. Reviewed by: James from West Virginia. Last year I gave the Vapamore to my youngest daughter as a gift and she loves it. This year I gave it to my other daughter who had heard how wonderful it is and has so many excellent features. Reviewed by: Joan Schwendel from New Jersey. This steam machine has been an asset to our company & we don't have any callbacks. Thoughly enjoy this machine. It does what it say it will do. Reviewed by: charles morgan from rocky mount, nc. the steamer is great but the hose has major issues. I have to pull the hose tight in order to get the steam thru it. very annoying. Would like a replacement hose. Reviewed by: BARBARA STEIGER from boise. Excellent product effective in eradicating problems used twice seems to have taken care of infestation. Reviewed by: Paul Ferreira from Fall River. The Vapamore MR-100 Primo works effectively killing Bed Bugs. You must use distilled water which is sold at Dollar General for the price of one dollar per gallon. Remember to turn all couches, chairs and beds over doing a 360 degree treatment. And don't forget to treat your carpeted floors ,especially under upholstered chairs, couches and beds. Also, it is safer for those people sensitive to strong insecticides and better for pets. Reviewed by: Daniel Jones from home use.